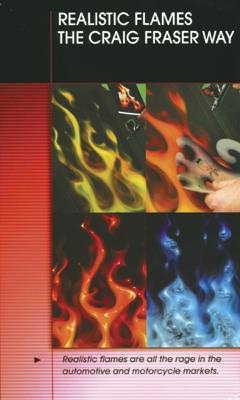 "REALISTIC FLAMES, THE CRAIG FRASER WAY"
With everyone wanting to learn this new technique, it is no surprise that there are a large number of how-tos, and DVD's currently available. Based on the way that Craig Fraser renders his realistic, and stylized flames at Kal Koncepts/Air Syndicate, Craig guides you through an easy step by step to get these kewl designs in less steps they any other current system. .